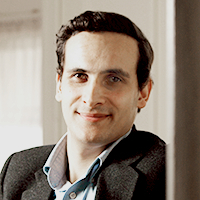 Frédéric Mégret is an Associate Professor and Dawson Scholar in the Faculty of Law at McGill University, and a member of the McGill Centre on Human Rights and Legal Pluralism. He holds a Bachelor of Laws from King’s College London, a DEA (Diplôme d'études approfondies) from the Université de Paris I, and a PhD from the Graduate Institute of International Studies (Geneva), as well as a diploma from Sciences Po, Paris. His work focuses on some of the theoretical dimensions of international law, international criminal justice, international human rights law and the laws of war.